Stiffness Vs Thick Leather For Gun Belts: Which Is Better? Should I Look For Stiffness Or Thick Leather When Buying A Gun Belt? When looking for a gun belt, a person might be forgiven for conflating the attributes of stiffness and/or rigidity with the mere presence of thick leather. Is one more important than the other? Are they equivalent? The truth is that they're not. 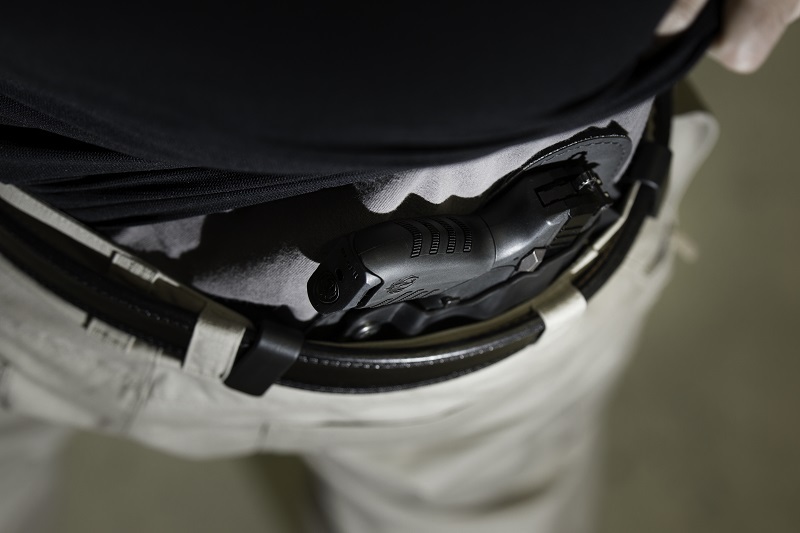 Leather thickness CAN help when it comes to stiffness, rigidity and having the requisite tension to support a pistol and holster and therefore be used as a gun belt...but it's not necessarily the same thing. The most important attribute that a gun belt can have is rigidity, almost over any other attribute that you could possibly consider. The materials it's made out of, the gun belt width, what kind of buckle it has...almost none of it matters without the requisite stiffness to hold up a pistol and holster while buckled together. The additional rigidity over a department store belt is why gun belts are a thing - because they can hold up more weight without sagging, without needing to be adjusted up every few minutes. The whole idea is selecting a belt that you can put on in the morning along with your gun, holster, pants and all the other kit that goes with it. A lot of people put a phone holster on their belt as well, then you have your wallet, car keys, etc. You're supposed to be able to put on a gun belt with all the trimmings and be able to have confidence that it will hold everything up. It's supposed to be the piece of EDC gear that you don't have to worry about. If you buy a good one, worry about the belt is not supposed to cross your mind. Rigidity is what provides the vertical and horizontal tension necessary to keep your pistol in the location that you want it in. That is the job of a gun belt. Without the requisite rigidity, it doesn't do that job and arguably ceases to become a gun belt. When it comes to leather, the truth is that thick leather doesn't necessarily equate to strong leather. Why is that? Well, it has to do with the nature of leather. Not every piece of leather is the same, mostly because of the types of leather. Leathers break down into several classes. You have full grain, top grain, genuine leather and suede. Full grain leather is the top-most layer of the hide, which is mostly the hard outer skin of the animal (the epidermis) and a bit of the soft, inner layer of skin, aka the dermis. Full grain hasn't been sanded down for uniform appearances and has the highest concentration of the harder layer of hide. Full grain leathers also can - though won't necessarily always - have a rougher appearance and are by nature stronger than other kinds of leather. Top grain leather is closer to a 50-50 mix of the two. In top grain leathers, the top of the hide is often sanded away to remove imperfections and to present a uniform appearance. However, it is a little softer than full grain and stretches a little more. Genuine leather has almost no leather grain, meaning none of the top layer of skin. It is almost entirely composed of dermis and as a result, is even softer than top grain. In fact, genuine leather is usually a byproduct of when a parcel of hide has the full grain leather split away. Genuine leather is cheap, is easy to give a uniform appearance - it's usually painted - but isn't all that rigid. Genuine leather that hasn't been finished to appear like leather? That's suede. So, how does leather thickness come into it? Simple - since each grade of leather correlates to the relative strength of the material, the grade determines whether having a bit more makes a difference. To put that a bit better, a thick leather belt of a soft leather product (such as genuine leather or worse, bonded leather, which is leather scraps and shavings that have been glued together like particle board) is not as strong as a thin leather belt of a higher grade of leather. Additionally, the leather break-in process makes an impact. As leather wears, it softens. 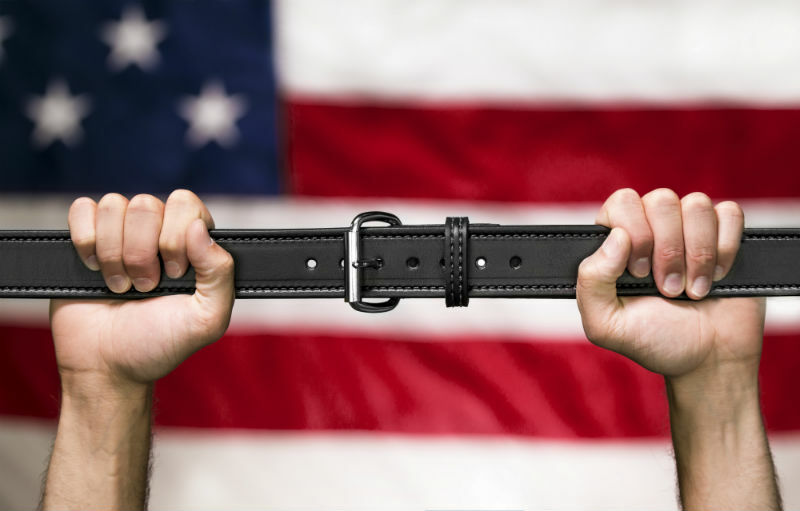 A thick leather belt can be plenty stiff at first. After a few months of every day wear, however...it might stop cutting the mustard. 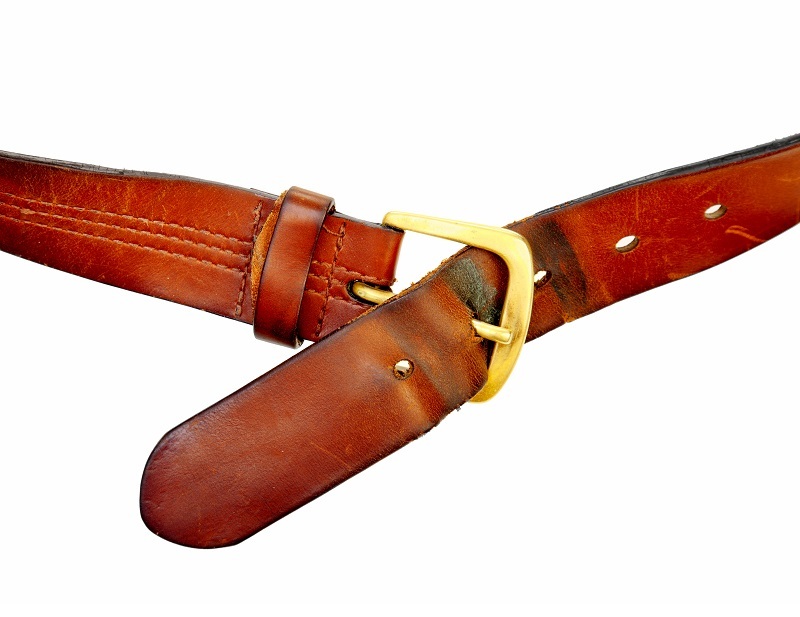 As a result, reinforced gun belts are the standard when it comes to leather belts. 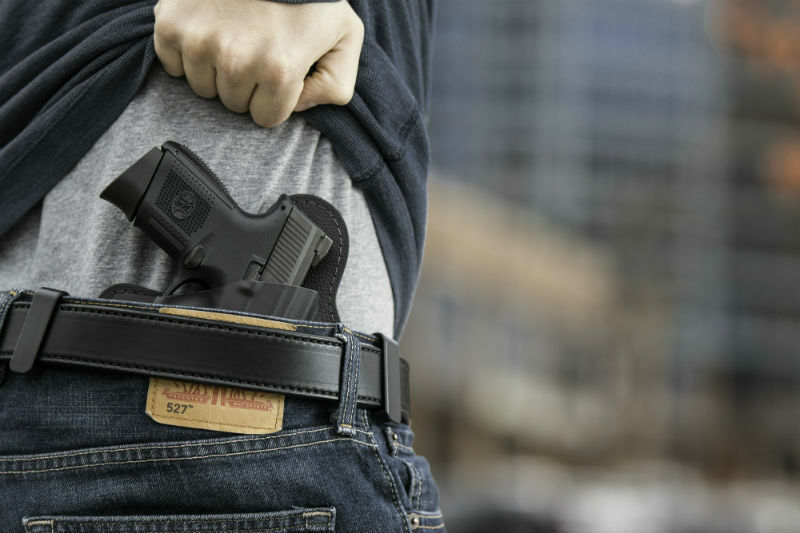 A reinforced belt of good quality leather provides the wearing characteristics along with the rigidity necessary to carry a pistol and holster day in, day out. This is why leather gun belt companies often offer a reinforced belt for carry, whether it's reinforced with tactical nylon, kydex or with spring steel. A reinforced gun belt won't soften to the same degree as an unreinforced leather belt. A seemingly stiff piece of leather can become soft enough to sag as it breaks in, but a reinforced belt stays strong if the reinforcing layer is of sufficient strength. In other words, what should you look for in a gun belt - stiffness or thickness? The answer is stiffness, rigidity. If it doesn't have that, it doesn't matter how thick the material is, because that's the attribute that will make the difference between a gun belt that you have for years and a gun belt you have for months or weeks.